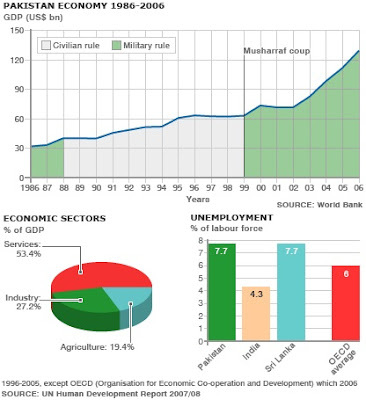 Musharraf's policies helped create 13 million new jobs, cut poverty in half and halved the country's total debt burden in the period from 2000 to 2007. Thanks to the dynamic economy under President Musharraf's rule, Pakistan created more jobs, graduated more people from schools and colleges, built a larger middle class and lifted more people out of poverty as percentage of its population than India in the last decade. And Pakistan has done so in spite of the huge challenges posed by the war in Afghanistan and a very violent insurgency at home. 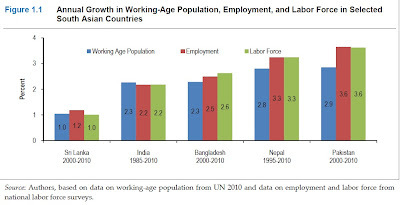 The above summary is based on volumes of recently released reports and data on job creation, education, middle class size, public hygiene, poverty and hunger over the last decade that offer new surprising insights into the lives of ordinary people in two South Asian countries. It adds to my previous post on this blog titled "India and Pakistan Contrasted in 2010". Before the coup, Pakistan was approaching the end of what is now remembered as The Lost Decade of the 1990s when PPP's Benazir Bhutto and PML's Nawaz Sharif played musical chairs, while the economy stagnated and the people suffered. Summing up the economic situation after the PPP-PML coalition took office in 2008, the Economist magazine in its June 12 issue summed it up as follows: "Before Mr Sharif was ousted in 1999, the two parties had presided over a decade of corruption and mismanagement. But since then, as the IMF remarked in a report in January, there has been a transformation. Pakistan attracted over $5 billion in foreign direct investment in the 2006-07 fiscal year, ten times the figure of 2000-01. The government's debt fell from 68% of GDP in 2003-04 to less than 55% in 2006-07, and its foreign-exchange reserves reached $16.4 billion as recently as in October." Please read "Pakistani Economy Returning to the Bad Old Days". Musharraf has been heavily criticized for siding with the United States and angering the Taliban and their sympathizers who have been attacking and terrorizing Pakistani state and its people. As mightily as Pakistan has suffered at the hands of the Taliban and al Qaeda terrorists and their affiliates since 911, I do believe that Pakistanis would have been much worse off if Musharraf had not sided with the United States when asked after the worst terror attacks on US mainland. The consequences of refusal to help the US would have ranged from direct and massive NATO attack (probably with Indian help) on Pakistan to crippling sanctions and complete political and diplomatic isolation on the world stage. 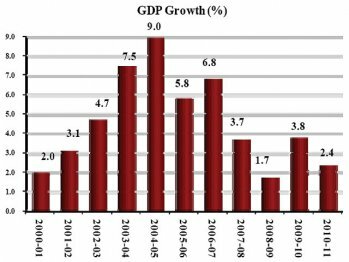 There was double digit annual growth in industrial production in Pakistan from 2000-2007, and the rising incomes and standards of living put pressure on energy supplies, particularly electricity. However, the situation was being managed to assure only short interruptions in supply to maintain and ration insufficient power generation capacity. For example, in June 2007, the power cuts in Pakistan lasted no more than 3 or 4 hours a day. Today, the situation is far worse with 10-12 hrs or more of load shedding every day, in spite of an stagnant economy. Musharraf era was the best era in terms of improving the lives of the ordinary folks in Pakistan since the Ayub-era in the 1960s. 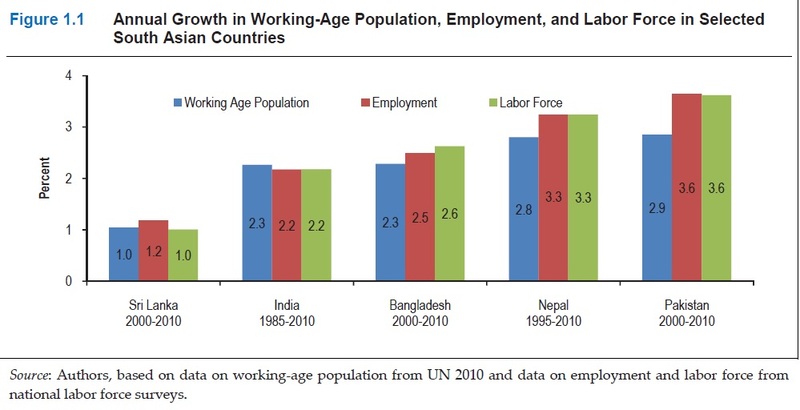 Strong economy helped create millions of new jobs and lifted millions out of poverty. Social indicators improved significantly and the the size of the middle class grew dramatically. So why is it that there are so many people who continue to condemn Musharraf? 1. Self-serving politicians and their supporters under their patronage who deny Musharraf's accomplishments because any admission of reality would be seen as a confession of their own incompetence. 2. Those who acknowledge Musharraf's economic legacy but would still prefer elected civilian government for ideological reasons. They are perfectly willing to sacrifice economic growth in the hope of hastening a better democratic future for Pakistan. I, too, want to see a democratic Pakistan, but I strongly disagree with both the above categories. In my view, the best way to usher in genuine and successful democratic rule in any developing nation is to first unleash East and South East Asian style rapid economic growth which was brought about by dictators like General Park Chung-hee of South Korea, Mahathir Mohammad of Malaysia and General Suharto of Indonesia. Each of these autocrats served long enough to bring their nations in to the modern industrial era and created a large urban middle class which is now sustaining democratic rule. Until such time as Pakistan has a well educated and politically empowered urban middle class making up more than half of its population, the electoral process will continue to result in patronage-based feudal democracy of the kind that exists today. Based on hunger data collected from 2003 to 2009, IFPRI reported that Pakistan's hunger index score worsened this year to 20.7 (2011) after four consecutive years of improvement reported since 2008 from 21.7 (2008) to 21.0 (2009) to 19.1 (2010) to and its ranking dropped to 59 in 2011 after rising from 61 to 58 to 52. During the same period, India's index score improved to 23.7 in 2011 to where it was in 2008 after worsening from 23.7 (2008) to 23.9 (2009) to 24.1 (2010) and its ranking moved to 67 in 2011 from 66 to 65 to 67 on a list of 81 nations. But Washington found a successful approach toward Indonesia, one that can be mirrored for Pakistan. Working with the friendly regime of Suharto, who seized power in 1966, the U.S. helped engineer a remarkable transformation. Jakarta quashed communism and turned its energies toward economic development. The men in charge, a team of U.S.-trained economists, came to be known in development lore as the Berkeley mafia. Over the next three decades, it flowered into one of Asia's star performers. In 2005 dollars, per capita income rocketed from $325 in 1970 to the middle-income benchmark of $1,000 in 1993. Even today, despite the setback of the 1998 Asian financial crisis and a rocky transition to democracy, Indonesia leads India and Pakistan in both income and human well-being. In a recent book titled "The Pakistan Cauldron" by James Farwell, the author argues that when Mr. Khan’s proliferation network was exposed in the early 2000s, Mr. Musharraf orchestrated a brilliant strategic communications campaign designed to absolve Islamabad of complicity. On public television, the president extracted a forced confession from Mr. Khan, who unconvincingly pleaded he had acted alone. President Musharraf then pardoned the scientist (Mr. Khan remains a hero in Pakistan) before putting the serial proliferator into “forced retirement” to shield him from international investigators. “[W]ith his phone line severed, newspaper deliveries halted, and access to television denied. … No one was prosecuted. No intelligence was shared.” Perhaps most troubling, the Bush administration applauded Mr. Musharraf’s handling of the situation and Mr. Khan has yet to face a single question from U.S. or international investigators. ISLAMABAD, Dec 19 (APP): Federal Minister for Finance, Dr Abdul Hafeez Shaikh here on Monday said economic indicators were showing positive results due to prudent economic policies initiated by the government.Briefing a newsmen, here at the Ministry of Finance, the Minister said the government wanted to improve the workings, efficiency and performance of State Owned Enterprises like Pakistan International Airlines (PIA), Pakistan Steel Mills (PSM) and Pakistan Railways through introducing efficient management and operating through the professionals in order to make them profitable entities for the economic development of the country. He added that government has fulfilled the minimum financial requirements of the PSM in order to help the organization improve its working capacity. He informed the media that large scale manufacturing sector has registered growth of 3.6 percent during the first quarter of current financial year which was a health sign for national economy. He added that revenue collection up to December 16 stood at Rs. 715 billion which was realized at Rs. 555 billion during the same period of last financial year. Besides, the governmental expenditures were fixed at 42.5 percent during first five months of current financial year which was recorded at 38 percent, he added. He further informed that government expenditure had targeted to 50 percent of the total expenditures by December this year which would reach up to 42 percent. However , he said that it would spent about 40 percent of (PSDP) by December.Secretary Finance, Dr Waqar Masood said that export grew by 11.5 percent against the expected targets of 5 percent,while imports grew by 20 percent as against the expected targets of 10 percent. He informed that inflation rate was recorded at 10.2 percent during the period under review which was recorded at 14 percent during the last year. Foreign remittances in the country were increased by 18 percent which crossed US $ 5 billion mark during last five months of current financial year. Secretary Finance said that Federal Board of Revenue (FBR) was determined to achieve its revenue targets of Rs. 1952 billion as revenue collection has registered 28 percent growth as compared to same period last year. 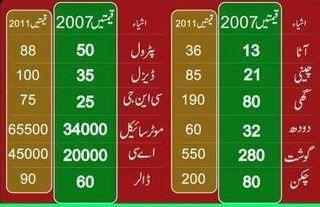 Would you also please compare the life safety before and after musharraf era? How many lives lost in this entire saga. What are the human rights metrics? Judicial crisis? how safe do people feel before this decade and after it? Economic condition without the social picture seems a partial one. Uzair: "Would you also please compare the life safety before and after musharraf era? " Fundamentally, 911 changed everything for Pakistan and many other countries because of US-led WOT....it had nothing to do with Musharraf per se. However, there was still relative peace and stability and better management of the administration and the economy in Musharraf years than what we have seen since 2008 after his departure.